Ample rain and moderate temperatures across the Nation’s mid-section led to record-high yield and production for corn and soybeans, both key U.S. crops, in 2016, according to the Crop Production 2016 Summary released today by the U.S. Department of Agriculture’s National Agricultural Statistics Service (NASS). U.S. corn growers produced 15.1 billion bushels, up 11 percent from 2015. Corn yield in the U.S. is estimated at 174.6 bushels per acre, 6.2 bushels above last year’s average yield. Area harvested, at 86.7 million acres, is up 7 percent from 2015. The 2016 corn objective yield data indicate the third highest number of ears per acre on record for the combined objective yield States with record high ear counts in Ohio. Soybean production for 2016 totaled a record 4.31 billion bushels, up 10 percent from 2015. With record high levels across nearly all of the northern United States, from the northern Great Plains to the Appalachian Mountains, the average soybean yield is estimated at a record high 52.1 bushels per acre, 4.1 bushels above last year’s yield. Harvested area in 2016, at a record 82.7 million acres, is up 1 percent from 2015. For 2016, all cotton production is up 32 percent from 2015, at 17.0 million 480-pound bales. The U.S. yield is estimated at 855 pounds per acre, up 89 pounds from last year’s yield. Harvested area, at 9.52 million acres, is up 18 percent from last year. Sorghum grain production in 2016 is estimated at 480 million bushels, down 20 percent from 2015. Area planted for sorghum, at 6.69 million acres, is down 21 percent from last year. Harvested area, at 6.16 million acres, is down 22 percent from 2015. Grain yield is estimated at a record 77.9 bushels per acre, up 1.9 bushels from last year. Record high yields are estimated in Georgia, Kansas, and Nebraska. Also released today were the Winter Wheat and Canola Seedings and Grain Stocks reports. The Winter Wheat Seedings report is the first indicator of this year’s winter wheat acreage. Planted area for harvest in 2017 is estimated at 32.4 million acres, down 10 percent from 2016 and 18 percent below 2015. This represents the second lowest U.S. acreage on record. In the Grain Stocks report, corn and soybean stocks were both estimated to be up 10 and 7 percent from 2015, respectively. 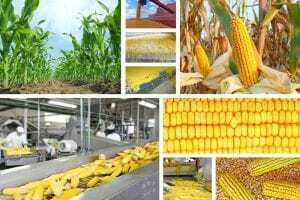 Corn stored in all positions totaled 12.4 billion bushels, while soybeans totaled 2.90 billion bushels. All wheat stocks were up 19 percent from last year. All wheat stored in all positions totaled 2.07 billion bushels. The full Crop Production 2016 Summary is available online at www.nass.usda.gov/Publications. The report contains year-end acreage, yield and production estimates for grains and hay; oilseeds; cotton, tobacco and sugar; dry beans, peas and lentils; and potatoes and miscellaneous crops.